Get involved with your BID – join our BID Board! We currently have 4 vacancies on the BID Board and are looking for new, dynamic representatives to come and join with the current Board Directors to help shape and direct the future of your BID! The day to day delivery of St Albans BID’s work is largely guided by the BID Board. The Board is made up of local BID business representatives from a plethora of different backgrounds and businesses and ensure that the BID’s work remains relevant, sustainable, supportive and quantifiable. 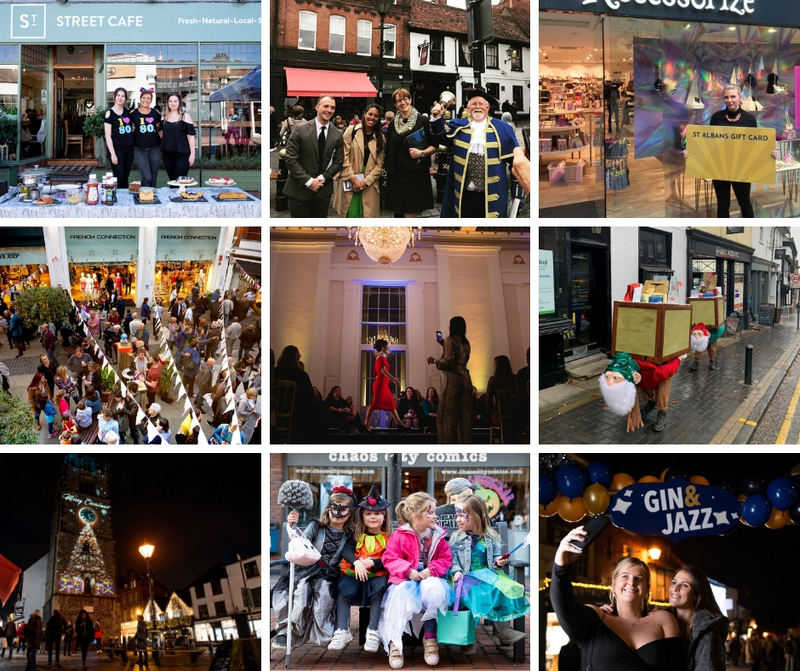 Over our first term, £2.5 million will be invested into the BID’s priorities: promoting St Albans as a vibrant and viable City in which to live, work and do business. Being a Director gives you the chance to help shape the direction the BID takes regarding this and to be direct part of the decision making process on how this £2.5 million gets spent. There is more information on our website about what the BID has done and plans to do. You can find our annual report from last year here to see what we delivered in 2017/18. A Director’s tenure is a minimum of 2 years and Directors are expected to attend around 8 meetings a year. We understand that being a Board Director may be a new idea to some and to others it may be old hat! However, whatever Board experience level you may have, we ask British BIDS to provide a Director Training course as we want you to feel as up to speed and equipped for this role as possible. This is a complimentary course although we do view it as compulsory for all new Directors, we value its importance as well as the opportunity for you to get to know your new Board colleagues.Please click on the link for the Board Member nomination form and please feel free to contact us if you want to chat in more detail and/or have any questions. St Albans Gift Card – the new cashless way to shop! The St Albans Gift Card is an ideal gift for friends, family members and colleagues whatever the occasion. 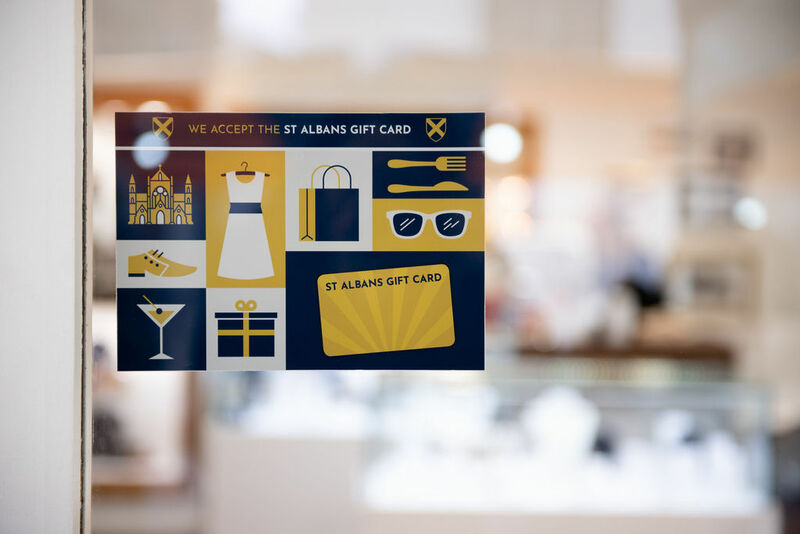 Simply choose your card amount and buy your St Albans Gift Card from St Albans Cathedral shop, Cositas, on Holywell Hill or from the dedicated website at www.stalbansgiftcard.co.uk. 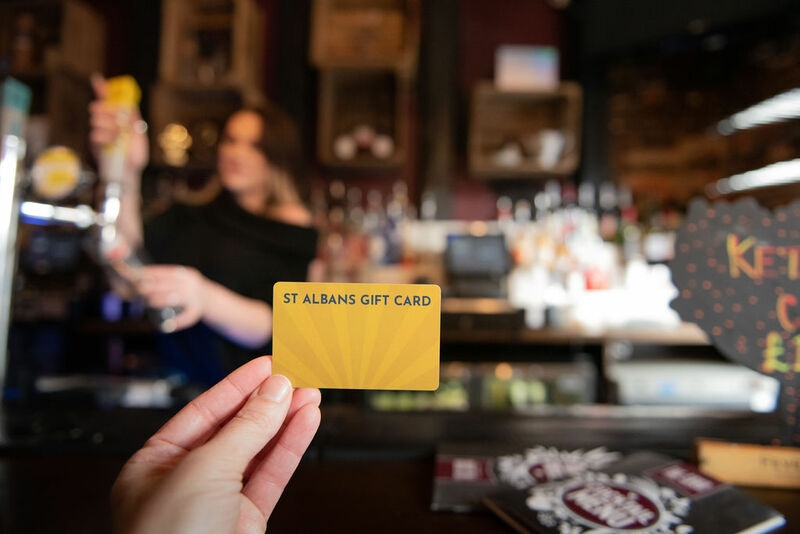 Discover the best of St Albans with one handy gift card that takes the decision out of gifting, but keeps options open for the recipient and the local economy growing for its community. ….So if you’re stuck for ideas and not quite sure what to get your special someone this Valentines Day why not get a St Albans Gift Card and let them choose for themself?! With over 80 businesses to choose from their bound to find something they’ll love. 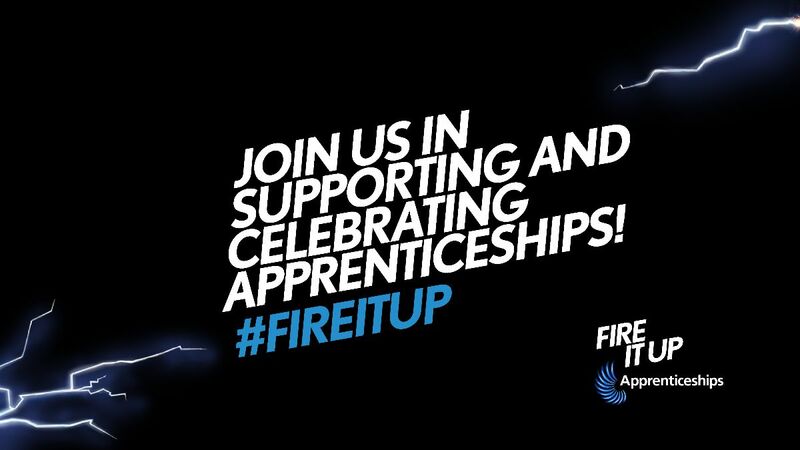 ‘Fire it up‘ is the new apprenticeship campaign recently launched by the Department of Education. This focuses on encouraging individuals and businesses to get involved with the scheme, to mutually benefit both. Apprentices gain paid work experience and an opportunity to work in a industry they’re passionate about. Businesses gain motivated, interested apprentices willing and wanting to learn and engage. The most recent data shows that 88% of apprentices continue in their employment after their apprenticeship concludes, showing that apprenticeships are widely regarded as a great workforce investment tool. Interested? Post your apprenticeship vacancies on www.findanapprenticeship.service.gov.uk. This is a free service and receives over half a million visitors per month. Instructions for how training providers can upload vacancies are available here: https://www.gov.uk/recruit-apprentice. Happy birthday to Panda Cards on Waddington Road and Visionary Accountants on Adelaide Street, who turn 40 and 10 respectively this year!! Congratulations!